Animal Wildlife | Desert Tortoise | The desert tortoise is a medium-sized species of tortoise that is found in the south-western desert regions of Northern America, and parts of northern Mexico. The desert tortoise is most commonly known for its high, patterned shell and the fact that is lives in burrows underground. The desert tortoise is found inhabiting the vast sandy plains and rocky foothills that are in and surround both the Mojave and Sonoran deserts. 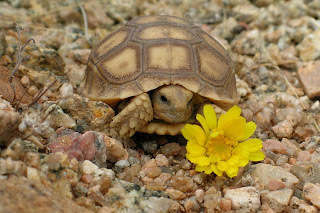 When temperatures get too high for the desert tortoise it simply digs itself a burrow into the sand where it can remain cool until the heat dies down. 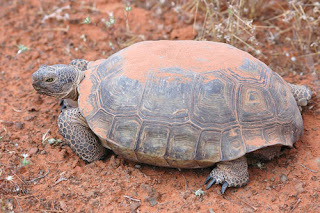 The desert tortoise has a number of biological adaptations that enable the desert tortoise to survive more successfully in such arid conditions. The front legs of the desert tortoise are heavy and flattened in shape. This complete with a set of claw-like scale means that the desert tortoise is an effective digger. 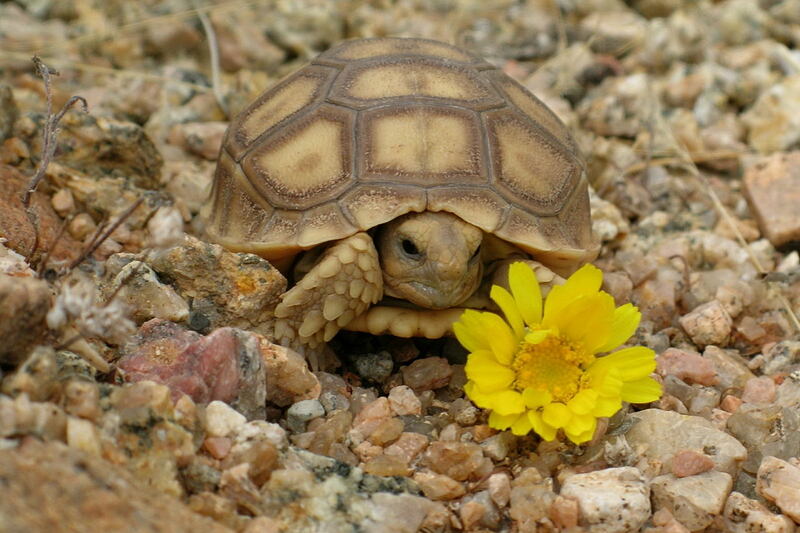 As with other tortoise species, the desert tortoise is a herbivorous animal surviving only on organic plant matter. 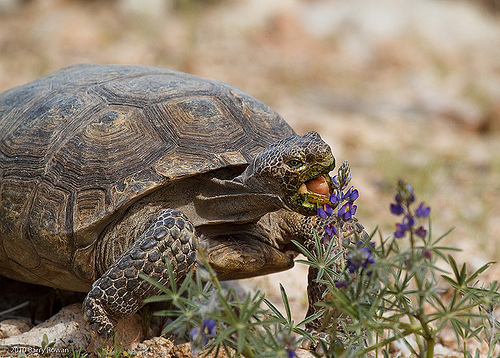 Grasses make up the majority of the desert tortoise's diet along with herbs, wild flowers and the rare fruits and berries that can be found. 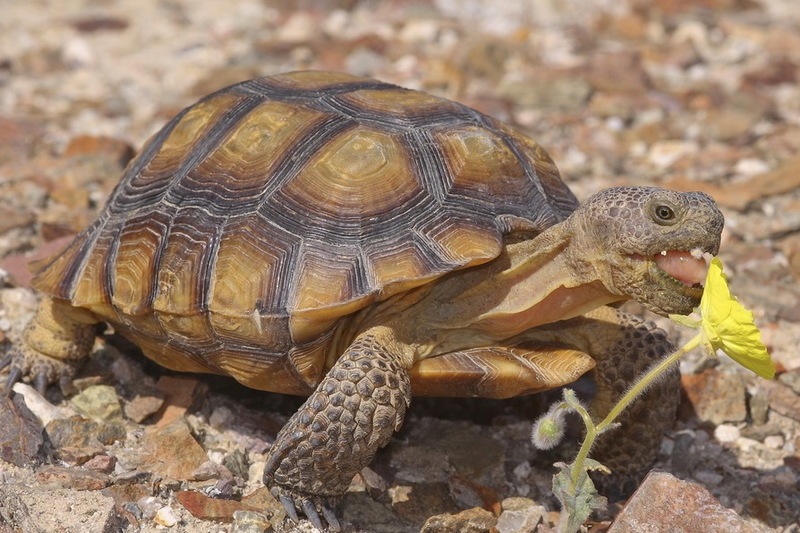 Due to its small size, the desert tortoise has a surprising number of natural predators even despite its hard outer shell. Coyotes, feral cats, reptiles and birds of prey are the main predators of the desert tortoise along with the gila monster. The average desert tortoise breeds twice a year, in the spring and again in the autumn. 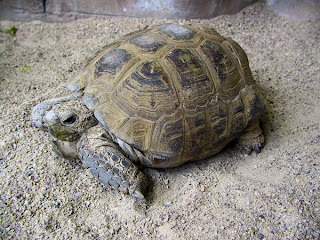 The female desert tortoise lays around 6 or 7 eggs although clutch sizes can be bigger or smaller. The ping-pong ball sized eggs of the desert tortoise usually hatch within a couple of months. 0 Response to "Desert Tortoise"